About Us | Company Video|Products | Infrastructure | Clients | Why Us? Ashton House is one of the recognized organization in the market and our products have its reputation in both national and international market. We are an ISO 9001:2008 certified organization began their business as the importer and stockiest of textile Engineering accessories. Within a short span we have also started import of mechanical transmission products. Incepted in 1981, we are doing our business efficiently for the last three decades. Today we have established ourselves as leading manufacturer of mechanical power transmission products. We are diversified our activities in manufacturing of full range of power transmission products and different type of conveyor system and their related components specialize in manufacturing of different kind of conveyor chains, sprockets and Conveyor Idlers. Our manufacturing unit is equipped with modern technologies that enable us to deliver outstanding products. 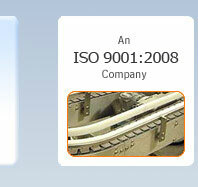 The developed machines of our unit deliver tools that are in compliance to international standard. Draton is a power house of expert skill, a treasure house of knowledge and dedicated team workers. 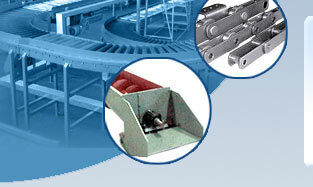 Conveyors of Draton is famous because of its sophisticated design and the safety that products assure for. Efficiency, safeness is ensured when the tools are manufactured from well equipped machines. Note : We customize the products as per clients specification. 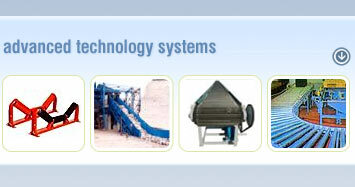 Draton conveyor system is efficient and cost saving and thus our products have a large scale acceptance in world and national market. Our products are recognized in the market because of its efficiency, security and trouble free movement. Our organization is a vast treasure house of skill, knowledge, experience and dedication. Further the team of workers of our organization is our strength because they are very much loyal to their respective works. Our tools are utilized for speed up the work. So the experts of our organization is engaged in constant research work about the machines. In fact our sole aim is to deliver most developed tools to our clients. So our constant research work enhance the quality of the products. Customize the products as per clients specification.